Track description given starting from Rangitatau reserve on the southern coast road just round from Moa Point. There is a carpark at the entrance to the reserve and Ataturk Memorial. There is also a larger carpark across the road. From the carpark the track goes either right to Ataturk Memorial, left to Kekeranga St, or straight up. The route here is the wide sealed road going straight up the hill for about 500 metres. This is a "Woof woof ruff" area and popular with owners following their dogs and cleaning up the things that dogs do! At the top of the rise about 500 metres from the carpark the Eastern walkway veers to the right. Follow the track to the left and on to Bowes Crescent (there is another large carpark here). Go up Bowes Crescent for a short distance, then left onto Birhall Grove and onto the Airport corporation walking track at the end of the grove. 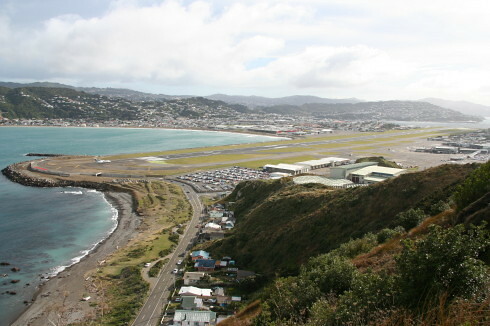 You then join a reasonable wide sealed track leading past Palmer Head airport navigation station and radio beacon, with good views over Cook Strait and the airport area. 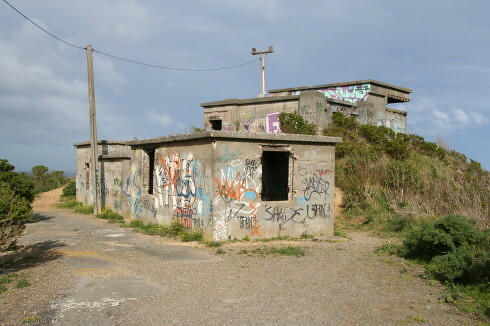 On the left just past the radio antenna are some old gun bunkers, covered with graffiti but interesting to walk round and watch the planes come in. The track continues to exit point on Ahuriri St/Kekerenga St corner. There is a locked gate here, but a large opening in the fence allows walkers, cyclists and dogs to pass through. Good carparks at Rangitatau reserve, Bowes Crescent, and on Ahuriri St. Buses may run up Ahuriri St.
Bicycles are allowed on the section round Palmer Head from Ahuriri St, but not in Rangitatau reserve.